At RFD, our experienced professionals understand that building or remodeling can be a tremendous undertaking. That is why we offer customized services to make your life a little easier. 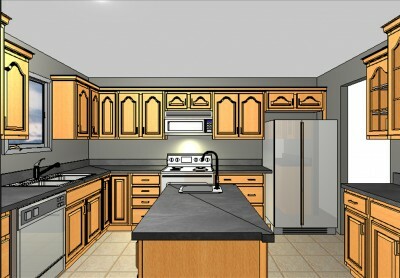 Our team will help you design your dream kitchen or bath, and help you to make the most of your space at an affordable price. We feel that it is important to see your kitchen or bath before you’ve made any important decisions. This is why we recommend our 20/20 Program that allows us to help you design your room, giving you a 3-D rendering of the finished look. One of our many specialties at RFD is organization. We know your lives and homes are full of things to keep you busy so staying organized is important. We offer products such as pull-out shelves, inserts and dividers; plus several other customizable options. In addition to our showroom pieces, RFD is able to customize storage units to match your new or existing décor. 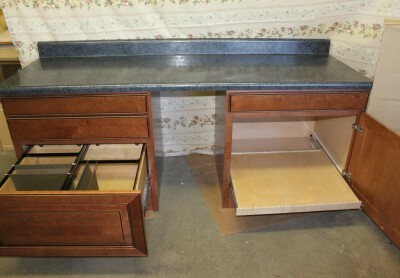 We’ve designed and built entertainment centers, benches, desks and more! 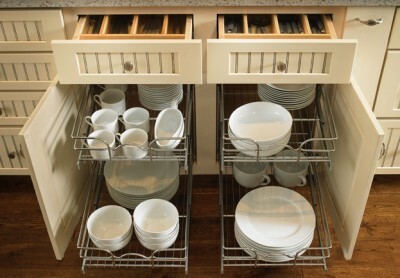 As far as cabinetry and storage are concerned, if you can dream it, we can build it!